Need to understand what makes small-business marketers tick so you can map the right strategy for 2018? 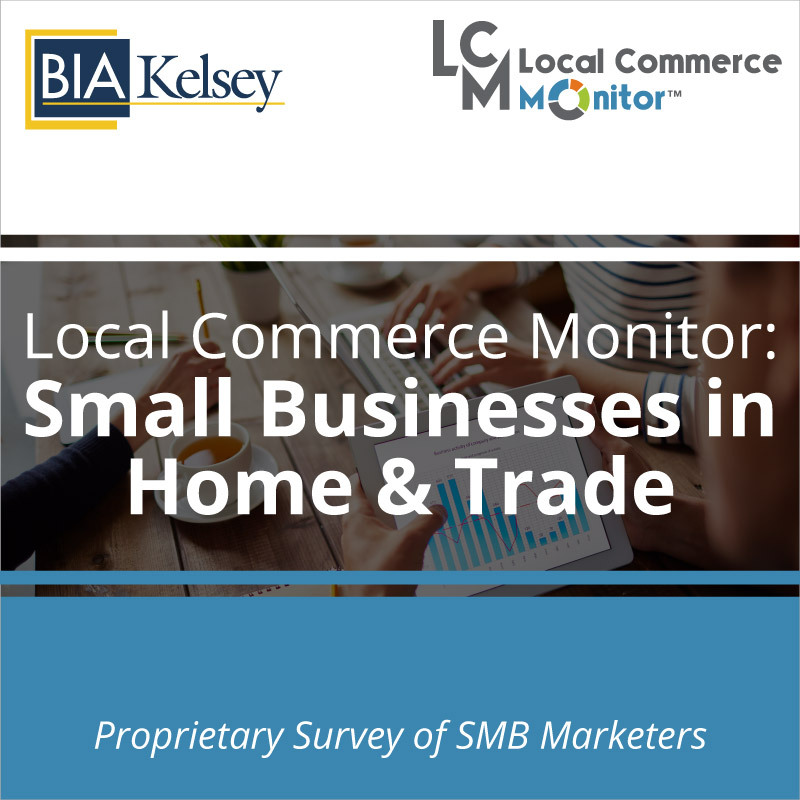 BIA/Kelsey’s Local Commerce Monitor™ (LCM) can give you answers. 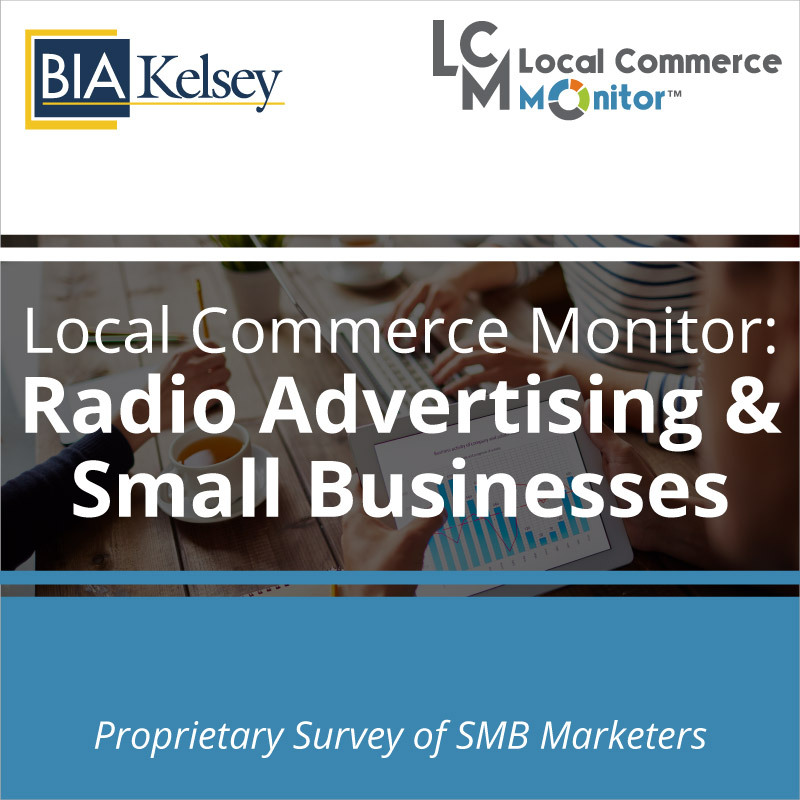 LCM is BIA/Kelsey’s proprietary annual survey of 1,000-plus small and medium-sized business advertisers (100 or less employees). 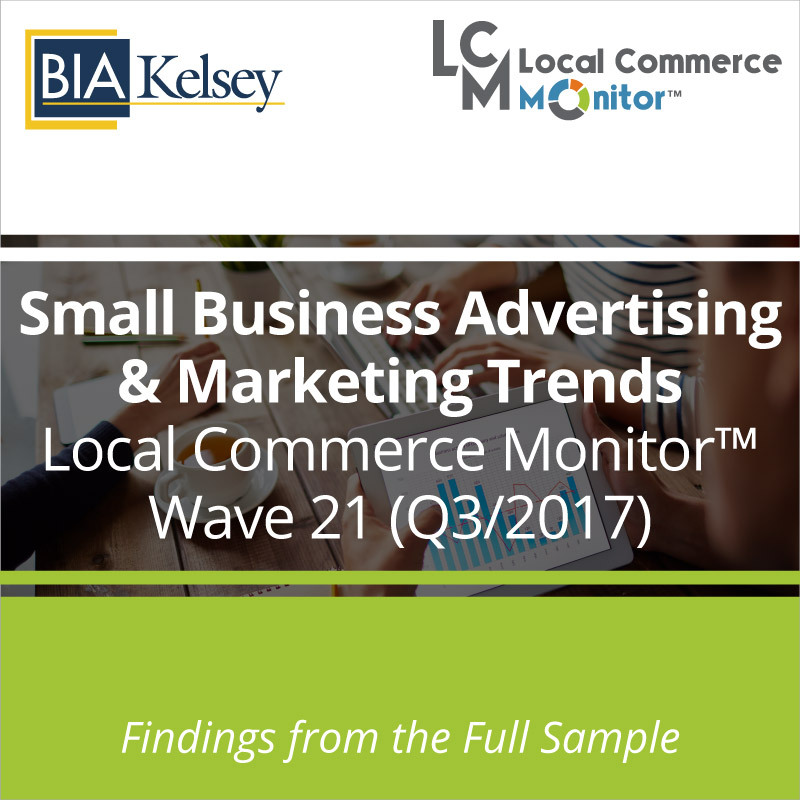 The latest wave, LCM Wave 21, conducted Q3 2017 has new topics and the largest sample size ever. 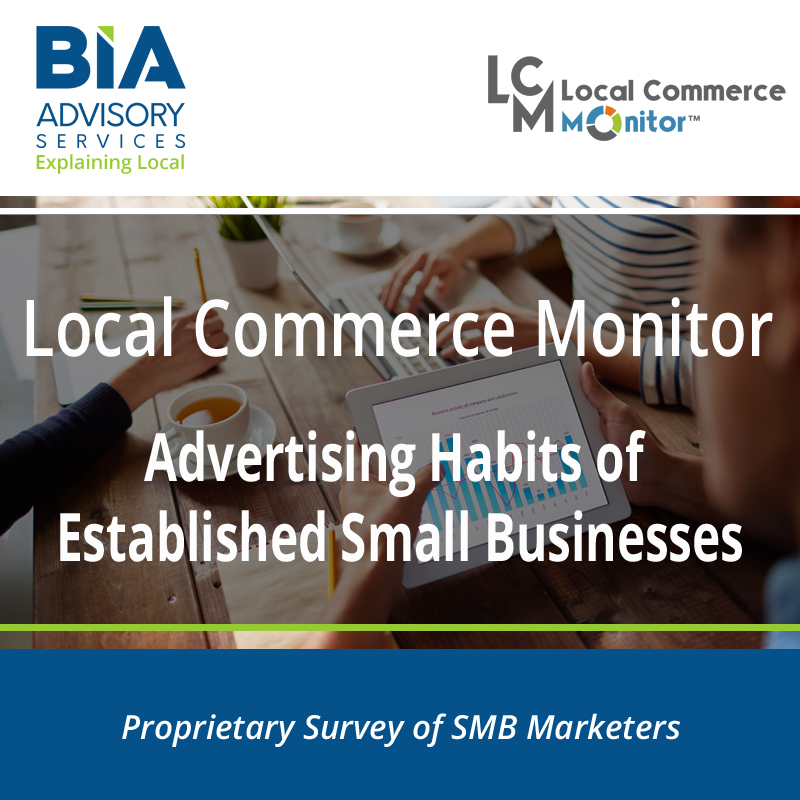 This trends report is taken from the new LCM survey and offers a deep dive into the hottest trends in small business advertising and marketing for 2018. Use the report to understand what small businesses are spending the most on and how they value different types of channels. It includes average spend for all types of advertising (i.e., TV, radio, Facebook, SEO, search, social media ads, audio ads.) This report also identifies the types of business tools, like cloud storage, advertisers will invest in. This exhaustive report of 45+ charts covering 60+ topics includes firmographics. 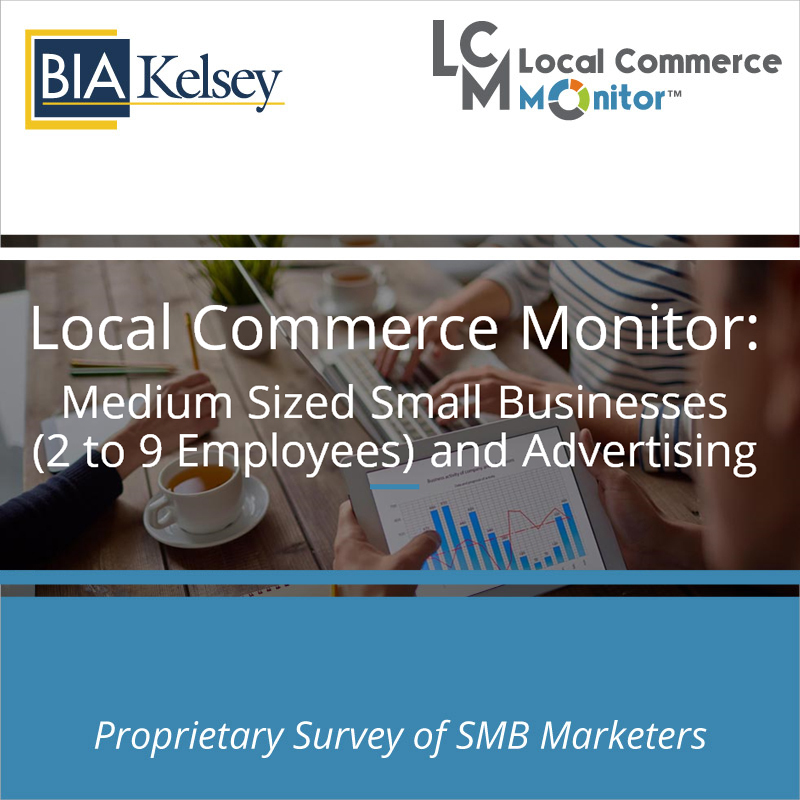 The report, Small Businesses Advertising & Marketing Trends – LCM Wave 21 (Q3/2017), offers a comprehensive overview and analysis of the full 30-minute survey from all 1,000 small business respondents (key marketing decision makers in the businesses). Media companies can determine where they can gain new advertisers and where competitive threats must be addressed. Marketing services and technology companies can uncover how small businesses view and use DIY versus managed services. Agencies and sales teams can track small businesses usage of agencies and their opinions, as well as benchmarks for sales to have successful sales calls. Companies selling marketing analytics can understand what metrics small businesses value and how they measure ROI and performance.